connected, and the connectors used. 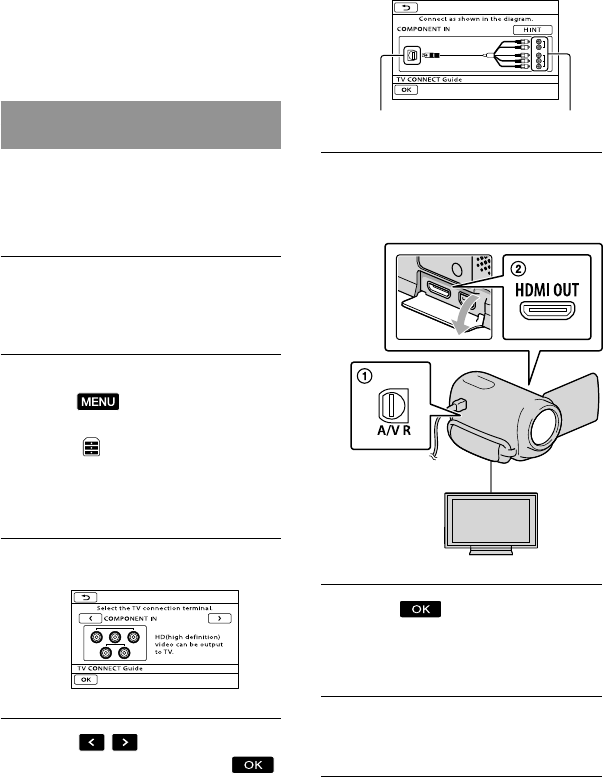 Refer to the instruction manuals of the TV. jack of your TV, then touch . The connection medhod is displayed. standard definition image quality (STD).